Thursday in Charlotte one basketball court was blessed with the entire LeBron James family. 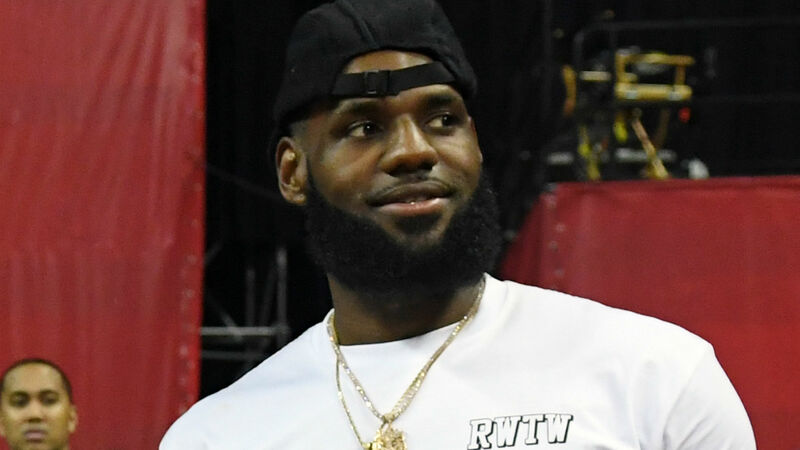 The whole crew was in town to watch LeBron “Bronny” James Jr., 13, and his team compete in the USBA Nationals, and according to The Charlotte Observer, LeBron James joined a handful of team huddles during timeouts to offer coaching advice. When he wasn’t locked into his son’s 89-32 win, the newest Lakers superstar was dancing on the sidelines with his daughter and youngest son. Bronny (wearing a No. 0 “Chip City” jersey) put on a show of his own on the court. LeBron James told GQ last year he hopes to play in the NBA long enough to team up with his son. Judging from Thursday, the two would have plenty of fun if they’re lucky enough to make that dream come true.